Anyone else have a child who loves Dora and Diego? While it’s not my preschooler’s show of choice, she has seen enough of them to know what an anaconda is! She can’t tell you that she is five years old, but she can say anaconda just for fun. 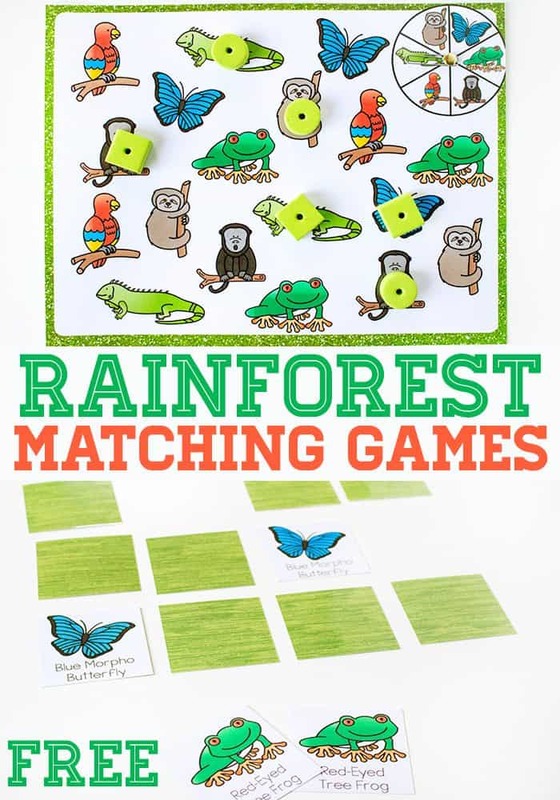 Priorities… Since she is still obsessed with our spin & cover games, I created a new set of rainforest matching games for preschoolers that she can play with and learn other fun words like iguana and red-eyed tree frog. 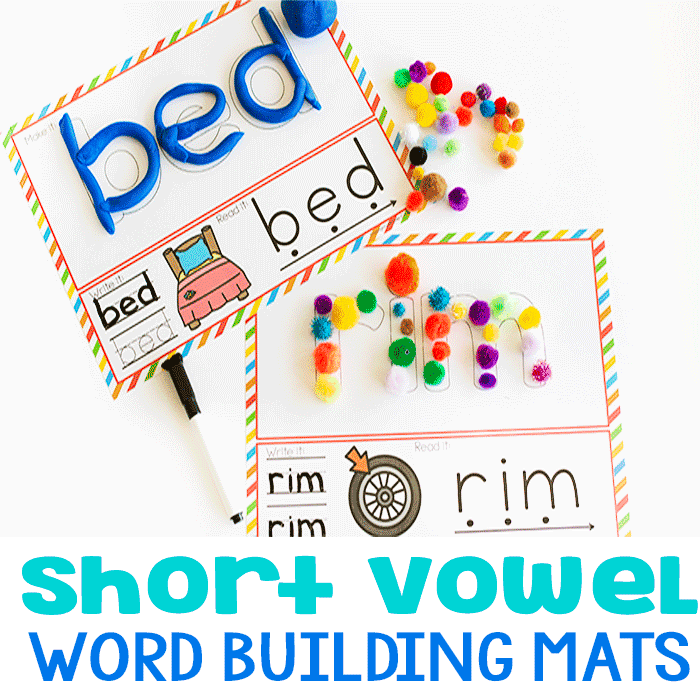 To prep: Print and laminate the Spin & Cover Game. Use scissors to gently poke a hole at the center of the spinner. 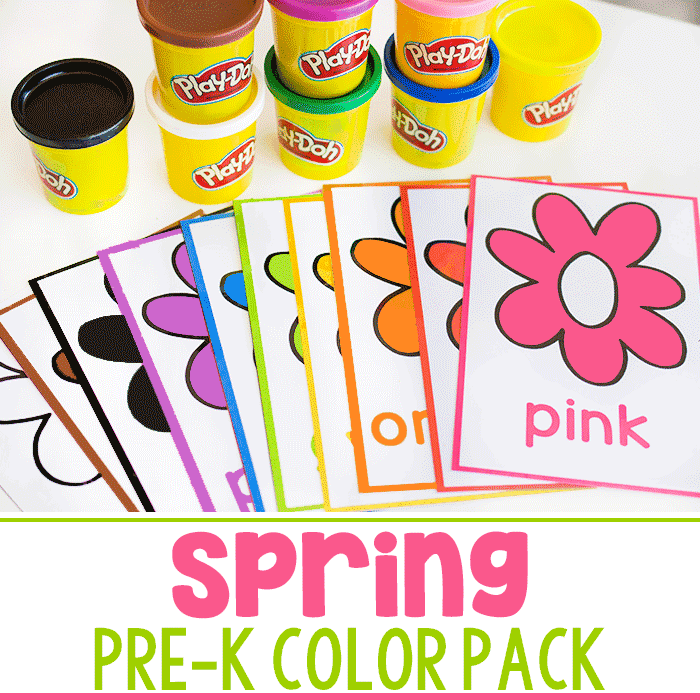 Place the paper clip on the paper fastener and slip it into the hole that you created. Open the backing of the paper fastener and tape the “legs” of the brad to the back of the game board to secure it. 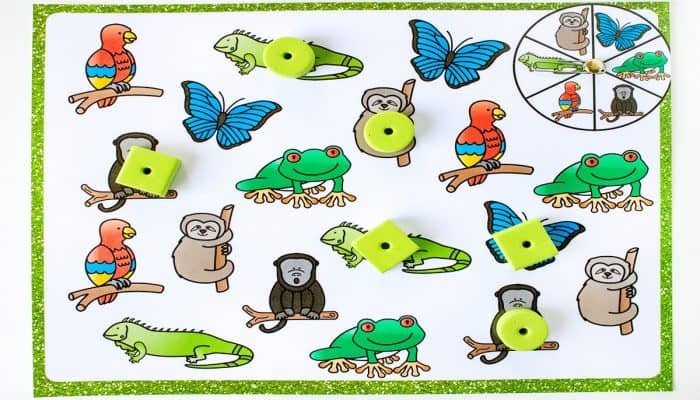 Alternately, you could use a pencil tip with a paper clip around it instead of the paper fastener, but it is easier for preschoolers to play independently with the the spinner already prepared for them. 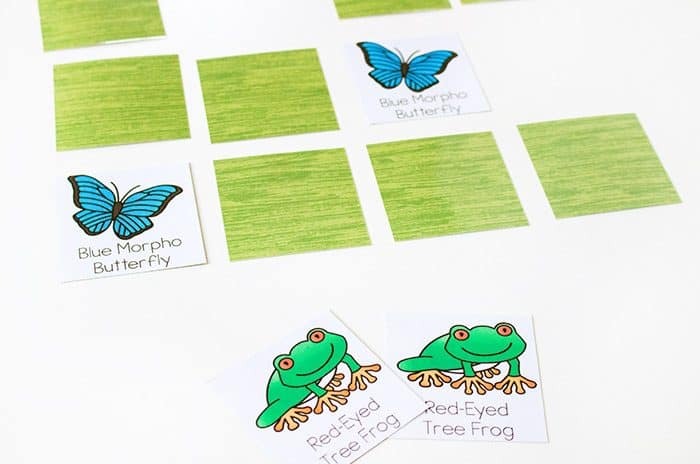 To prep: Print the memory cards on the white side of scrapbook paper. Laminate for durability. To play: With the cards face-down in a rectangle, the first player will turn over two cards. If they match, the child keeps the cards and tries for another match. If they don’t match, it is the next players turn. Play is finished when all the matches have been found. Winner has the most matches. 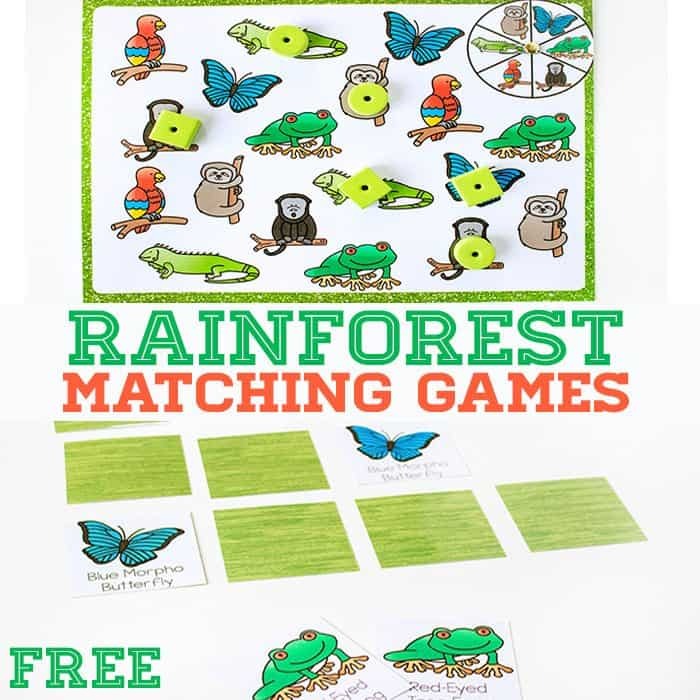 You can also use the animal cards as an independent matching game for kids who are not ready to play a full memory game. 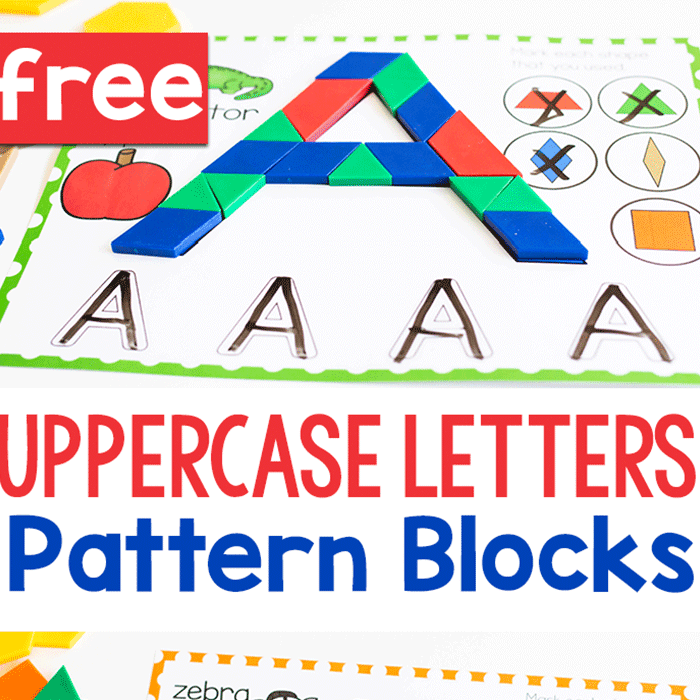 My kids have been enjoying matching games so this will be a fun addition for us. Thanks! Your Spin and Cover Game looks like so much fun! 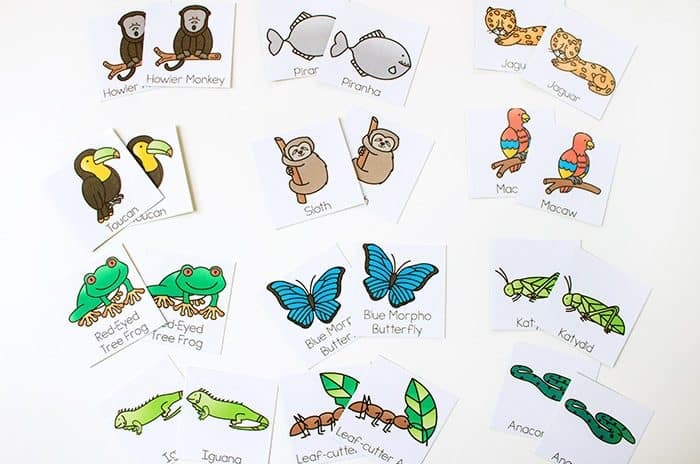 I love the variety of Rainforest animals!